There are many complicated guides to conservatory prices floating around, but here you will find simple price breakdowns as well as explanations of what could contribute to a higher cost for your conservatory. Read our easy guide to find out more! As a general rule, conservatory prices will fall anywhere between €6,700 and €22,000 for supply and fit. For a more detailed breakdown of what could affect your conservatory prices, see the third section of this article. Are you looking for more specific prices for your needs? You’re in luck! The table below shows you how much the most common conservatory types cost according to whether they are constructed with a dwarf wall or with full-height glazing. This does not include extras such as base work, fittings and installation costs. Nor does it include VAT. The price could easily double when one takes all of the extras (and taxes) into account. 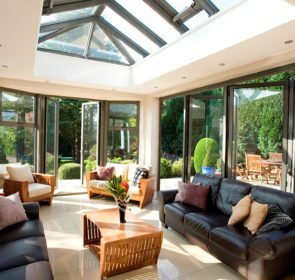 With so many factors affecting the projected price for your conservatory, you may be feeling a bit lost in it all. We understand that feeling! Which is why we aim to put you in touch with up to 5 local and experienced professionals who will be able to give you the most accurate and sensible quotes for your project. Local providers can give you the best price, and by comparing quotes you will save even more. Take a couple of minutes to fill out our obligation-free quotation request form and get quotes in your inbox! Depending on size, the material used, installation costs and extra features, prices can greatly vary. However, we give you a basic breakdown of the prices you could expect for each style of conservatory in different configurations. 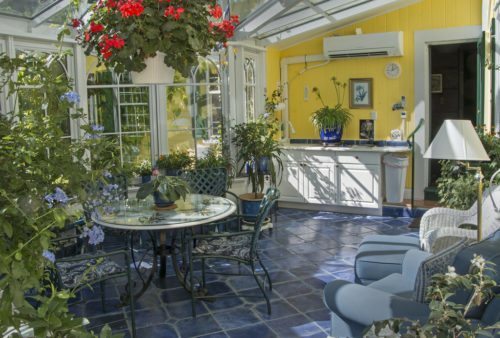 For an explanation of what each style involves, read our conservatory article. The following table shows the average prices for uPVC lean-to conservatories including installation and VAT. This table shows the average prices for uPVC Victorian conservatories including installation and VAT. Here we display the average prices for uPVC Edwardian conservatories including installation and VAT. Below you will find the average prices for uPVC Victorian conservatories including installation and VAT. The following table shows the average prices for uPVC P-shaped conservatories including installation and VAT. This table shows how much you can expect to pay for extra work needed to install your conservatory. What affects the cost of my conservatory? Local conservatory providers will be able to give you the best price according to your situation, so make sure you get lots of quotes and discuss the detailed breakdown of the costs involved so you are aware of exactly what you are paying for. Conservatories generally need a shallow foundation as well as some work to the exterior of the house. Perhaps a water drain pipe will need to be moved, or an exterior tap will need removing. This can affect conservatory prices in unexpected ways, and you may have to apply for planning permission. 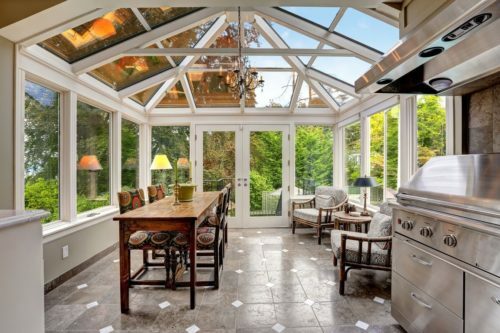 Some conservatory styles are more expensive than others, with the lean-to variety being at the bottom end of the spectrum and orangeries being near the top in terms of price. Of course, the bigger your conservatory the more expensive it will be to build and maintain in terms of temperature and otherwise. Temperature concerns can be mitigated with low-E glass and insulation bolt-ons but this entails a higher cost up front. 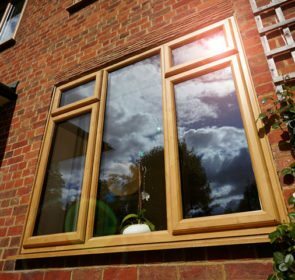 The cheapest and most common material that conservatories are built out of is uPVC, but you can also choose the more expensive wood or aluminium construction. Hardwood oak conservatories look very luxurious but have a price tag to match! To qualify as a conservatory, most of your construction must be glazed, either with sheets of transparent polycarbonate or glass. Polycarbonate is less durable and is higher maintenance than glass but is considerably less expensive. Depending on how many openings you would like to have, the final conservatory cost will vary. 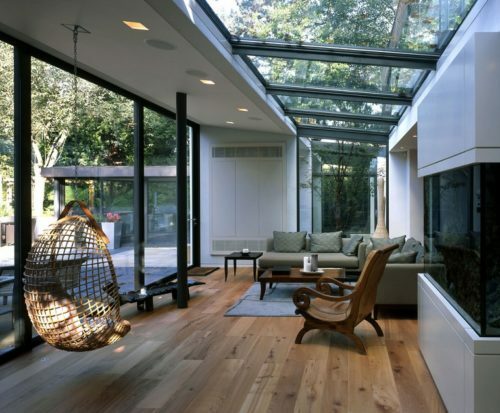 Generally, two openings near the top of the glazing to the sides of the conservatory and one door to the garden suffices and allows for ample ventilation. 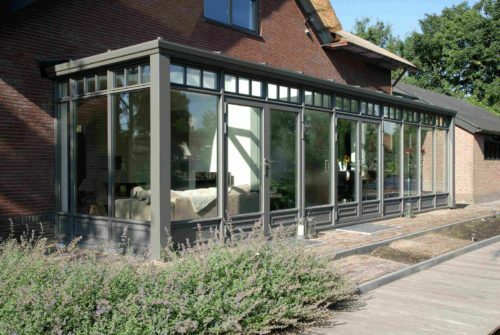 One of the biggest complaints conservatory customers have post-installation is the temperature of their conservatory – too hot in summer and too cold in winter. 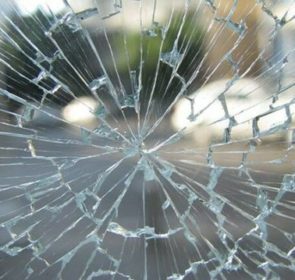 In order to mitigate this, it is good to properly insulate your conservatory, install heating and invest in low-reflexivity glass that allows light through but does not store heat inside. Conservatory prices do not always include fittings such as blinds, flooring and lighting. It is a good idea to discuss this with your conservatory provider, and they can let you know if this is included and how much you can expect to pay for the fittings you need. One of the most important things you can do when embarking on a new project is looking for prices and considering your needs. Conservatory costs can vary so much that only bespoke quotes will do the job. By filling out our online form and getting up to 5 quotes in your inbox, you will save money in the long run. A personalised quote will allow you to get a good idea of what to expect. Our local and trusted professional partners will help you to decide what is best for your conservatory, and you will benefit from up to 40% savings.